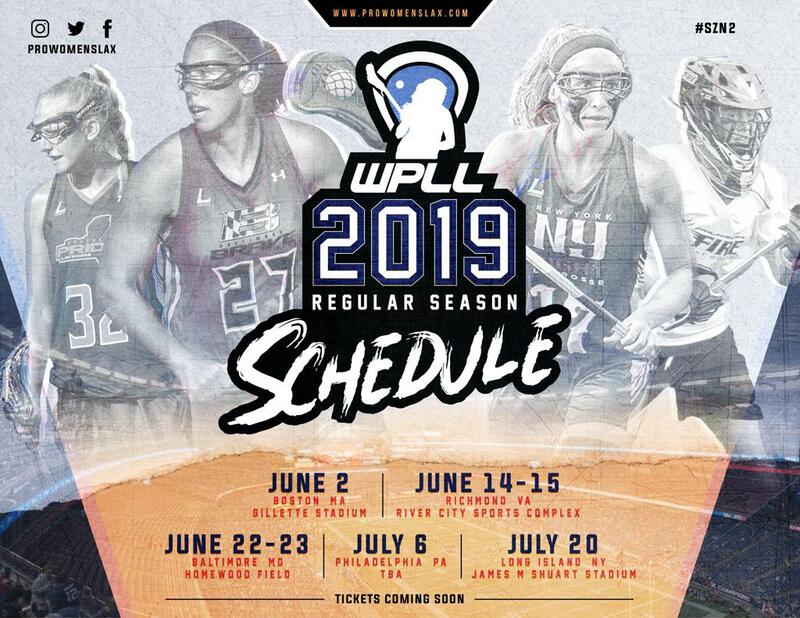 The WPLL is pleased to announce its 2019 Regular Season Schedule; a 10 game season spanning from June 2nd until July 20th. This season the WPLL will travel to 5 states, play at 5 top of the line venues, and host two weekends alongside the Premier Lacrosse League (PLL), bringing the game of women’s lacrosse to fans in a way that has never been done before. The 2019 WPLL Season kicks off on June 2nd with a double header (Pride vs. Fight, Command vs. Fire) at Gillette Stadium. These games will be held in conjunction with a PLL Double Header, as will the June 22nd (Fight vs. Command) and June 23rd (Brave vs. Fire) games at Homewood Field in Baltimore, MD. After stopping in Richmond, VA (6/14-6/15), Philadelphia (7/6), and Long Island (7/20), the WPLL will enter post-season play. Stay tuned in the weeks to come for an update on our Semi-Finals and Championship Game locations!